Talk directly to a licensed local locksmith! Lake Norman Lock and Key can get you into your car quickly with our vehicle lockouts. 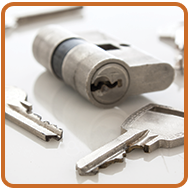 We also rekey locks for businesses and homes, including foreclosures, evictions, rental properties, and new houses. When you want a master key for all of the locks in your home or have a deadbolt lock installed to prevent intruders from entering your home, contact us. We will create a key for your home's locks or install a deadbolt to help keep burglars out. Call us and we will come out and unlock your car. Lake Norman Lock and Key is a family-owned-and-operated locksmith in business for more than 20 years. 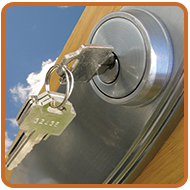 We provide mobile locksmith services to clients throughout Mooresville, North Carolina, and the surrounding areas. Our clients appreciate our timely services, affordable rates, and over-the-phone quotes. In addition, we can work around just about any schedule, morning, noon, or night. Our locksmith services are automotive lock out, commercial master keying, and residential lock out and rekeying. Lake Norman Lock and Key is state licensed and fully insured. Request a free estimate for a vehicle lockout.